Available in the following lengths: 9', 12' and 14'. 16" solid maple playfield with a poured polymer resin coating to keep it safe for years to come. Solid tulipwood shuffleboard table available in many lengths and finishes. Sleek and slightly curved cabinet with a tapered leg. 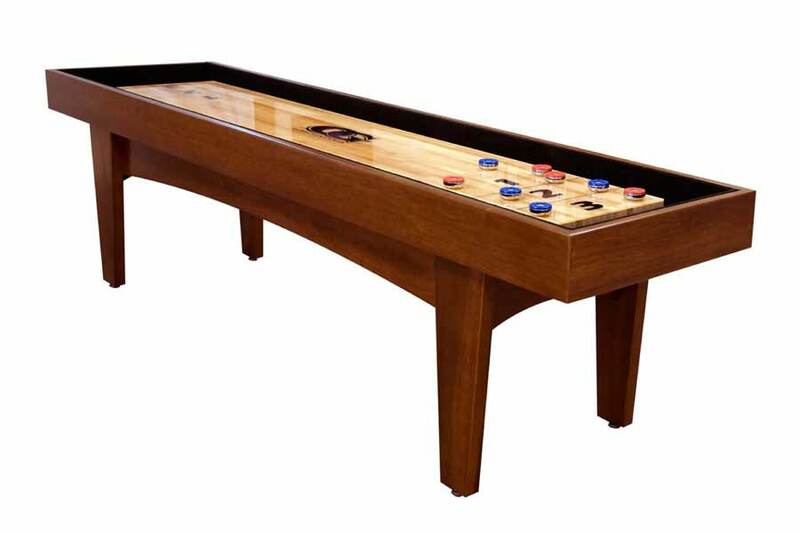 Shuffleboard is sure to delight your family and friends, and possibly bring out some serious competitiveness, so be careful!